Terra cotta is an ancient material that has been used to construct buildings for thousands of years. 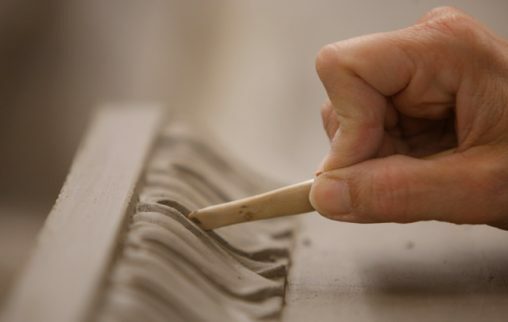 Boston Valley Terra Cotta’s success has been generated not only through our understanding of the material itself but also through our awareness of historic means of manufacturing versus contemporary means of manufacturing and technological innovations. 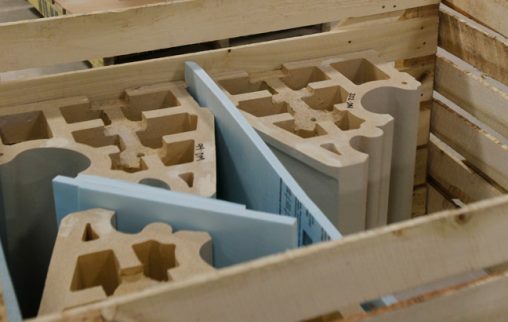 Both classical and contemporary manufacturing methods have a place in our facility. 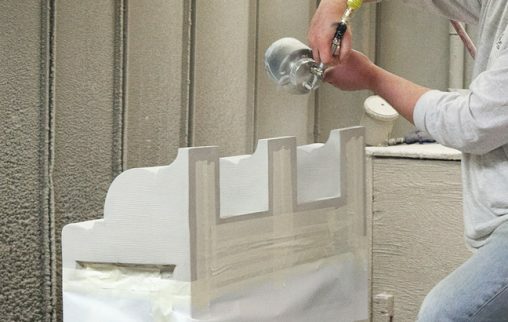 This is represented in our use of plaster for hand-press molds versus our use of CNC machine-tooled steel dies for extrusion technology, or our use of skilled craftspeople to carve the details into restoration units versus our use of overhead lifting devices to move the units around our facility. As a market leader, Boston Valley is constantly monitoring the building products industry for advances in design as they relate to the needs of the architectural community, and investing in technological advances in manufacturing means and methods. We have implemented the use of bar code scanners to track product through our facility and calculate production rates. Boston Valley has formed partnerships with local universities to provide experience-based opportunities for the next generation of design professionals and infuse Boston Valley with cutting-edge knowledge and ideas. 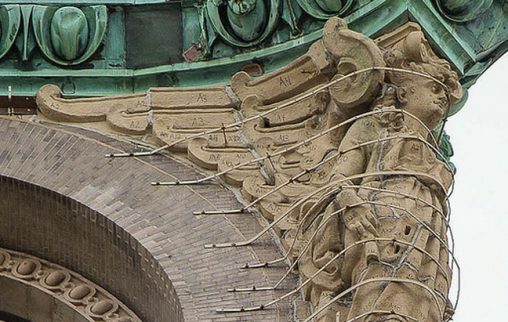 Through these collaborations and advances in technology, we continually advance terra cotta opportunities for the design and construction markets. Worked diligently over the last 30 years to build a network of people that can provide turnkey solutions to your design challenges. Boston Valley’s terra cotta products are manufactured at 6860 South Abbott Road in Orchard Park, NY 14127. Our 180,000 square foot facility employs over 100 New Yorkers. Boston Valley Terra Cotta offers a product that meets all international standards. We have successfully completed hundreds of commercial projects. Our TerraClad® product is made with American materials, a majority of which are sourced from within a 500-mile radius of the facility. We are committed to sustainability and responsible manufacturing and are constantly revisiting and revising our production processes to ensure we can provide the highest quality product with limited impact on the global environment.